A while ago, Mishpacha magazine ran a lead story wrestled with the topic of the women commonly known as "burqa ladies" or "burqa babes" - the increasing number of Orthodox Jewish women who wear burqas (and sometimes even gloves). The article presents interviews with several such women. It's fascinating to read about how these people think. But the article is also fascinating for another reason. Usually, the charedi media reflects a very clear set of values. Torah = good. Evolution = bad. UTJ = good. Bayit Yehudi/ Yesh Atid = bad. Gadol = effectively infallible. And so on. But it's very hard to tell whether this article is siding with the Burqa ladies or with their critics - or perhaps with neither, which would be remarkable. The vast majority of the article is sympathetic to their approach, and so are all the pull quotes (the sentences that are printed in huge letters alongside the article). On the other hand, the very last column of the article is critical of them, stating that they are effectively drawing attention to themselves, and being ostentatious in their religious approach. I find it amazing that a charedi publication is so ambiguous about such an issue. In an old post, Photoshopping Females and Knee-Jerk Reactions, I grappled with the question of how one can condemn "extreme" modesty measures while simultaneously maintaining a standard of modesty that would itself appear bizarre to most people in the countries where we live. I'm still very unsure about it, but I suggested that the problem is as follows: There are lots of things that can potentially lead to hirhurim - and yet Chazal did not prohibit them. This can lead to difficult judgments on a subjective case-by-case basis - but Chazal held that those judgments should indeed be made on such a basis, rather than simply broadly prohibiting everything. Now, individuals, and even communities, can legitimately have pious practices which are not halachah-based. But the problem is not that such people are maintaining a certain standard. It is that they are not maintaining a certain standard! They have abandoned the standard of their parents, and they have replaced it with a process, and a problematic one at that. It is a process of ever-increasing stricture, with each new pious innovation starting as a personal preference, and developing into an obligatory halachah and imposed upon others. The article quotes a burqa lady as saying that "desperate times call for desperate measures," and giving the message that the ultimate ideal is for a woman to never leave the house at all. Thank you for reporting about women who misguidedly wear burka-type garments to cover over their form. They mistakenly believe that they can only be seen by others if they are totally covered. 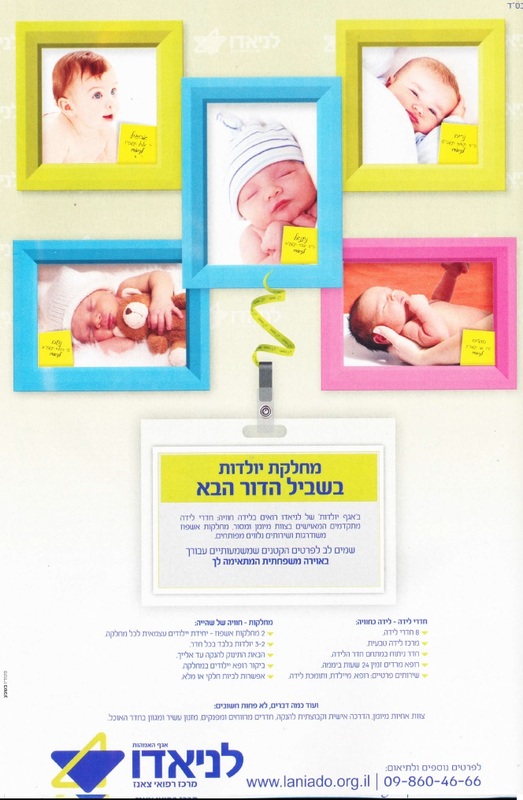 However it is interesting that Mishpocha Magazine goes further and feels that even fully covered they cannot be seen and hence no pictures of them in the article about them. As I wrote in my original blog post, in a society in which it is forbidden to show pictures of women, it is hardly surprising that women start to wear burqas. And if it's forbidden to show pictures of women even if they wear burquas, then the natural end result is that women will eventually see it as an ideal (and then an imposed standard) not to leave the house at all. I am happy you picked up on this mispacha article. I saw the front page of the magazine and its hilarious. There whole point of this was to point out how bad the burka babes are for "Torah True Judaism". I find it extremely amusing and disheartening that they refused to post pictures of women.Irony! Never had a better example. While the Burqa Babes (as well as the baby poster) are a revolting distortion of the concept of tznius, a policy of not showing photographs of women in the media is not as extreme as you might think - in the not-so-distant past it was considered a breach of modesty by mainstream society for a woman to be photographed in public. p.s. I am sorry for your loss. BD"E.
Since the burka babes are so interested in *attracting attention to themselves*, I make it a point to photograph them every time I see them. The pointy-headed one looks like she's on the way to the local Klan meeting. Avi, I believe the pointy top is to distort the shape of the woman's head, since the curve of the head is immodest. "then the natural end result is that women will eventually see it as an ideal (and then an imposed standard) not to leave the house at all." "However, it is degrading for a woman to be always going out, “one time outside and [another] time in the streets” (Mishlei 7:12). A husband should prevent his wife from doing so, and not let her go out more than once or twice a month, as needed. There is beauty in a woman only if she remains in the corner of her house, for it is so written, “kol kevudah bat melech penimah [the honor of a princess is all inward]” (Tehillim 45:14)". That is influence from the Sharia in Rambam's time. Jesus H. Christ (pardon the pun), is there no end to religious craziness and fanaticism? i read (i think it was aurtz 7) that the edah was similarly wishy washy but tended to approval, till the husbands came to complain that these women were opting not to "be" with their husbands at proper times. I recommend to all a periodic re-reading of Rabbi Rakeffet's classic 20-May-1997 shiur on modesty and "falshe frumkeit" (link follows). "[...] The Rambam Hilkhot Ishut Perek 24 Halakhah 12 uses a word in terms of tzniyut. He writes that women have to go out of their house with a "radid". That is his term. What is a "radid"? There is only one explanation for radid. It is a veil. Show me one woman walking around in Meah Shearim today who is not an Arab who has a veil on her face. So you see, without going into great lamdus [learning], and I spoke at great length with Rav Aharon Lichtenstein, [and] he spoke with the Rav about this, there is a certain subjectivity with those aspects of tzniyut that are not de'oraita [Torah law]. When the Rema paskens that you can't say "shehasimcha beme'ono" when men and women are sitting together, the Maharam Yafa doesn't disagree. Someone [responding via e-mail] said we don't pasken like the Maharam Yafa. It is nothing to do with the way we pasken. He [Maharam Yafa] doesn't disagree with the Rema. All he says is, a hundred years later [i.e. 100 years after the Rema], that we today are used to men and women sitting together. Therefore we have no problem saying "shehasimchah beme'ono". The Taliban amongst us. They should be purged from society ASAP. I really don't understand why in their photoshopping efforts, they allow the baby's elbows to be exposed. If you're gonna cover up a baby, at least be consistent in your idiocy. 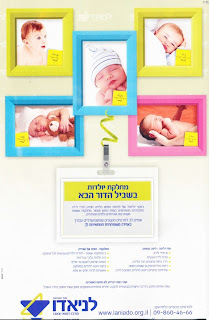 Mishpacha magazine is joke. They lack the journalistic integrity to write about the Burka-morons (the use of the term "Babe" is degrading to any women who might meet that description)but not print their picture? I thought a picture is worth a thousand words- but not the words of this piece of trash. 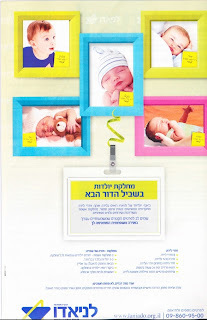 As for the Laniado advertisements- it is frightening that these ads are run during Elul. Klal Yisroel is supposed to do Teshuva, and this great institution commits Hillul HaShem by embarrassing Klal Yisroel through print media. Thanks Guys! Even if one buys into "desperate times call for desperate measures", there's a huge logical flaw when it comes to burqas. I can understand the argument that the presence of immodestly dressed women in the public sphere requires keeping men and women separate. I can understand the argument the the trend toward laxity in the dress code requires a greater emphasis on modest dress. But if a woman was already dressing modestly, what argument is there for requiring her to cover up further? What change in society caused a previously acceptable standard of dress to suddenly become unacceptable? The president of Bar-Ilan wrote an article years ago making the claim that in terms of hirhurim there is a lot of self-fulfilling prophecy (my wording). If I tell you toes are a turn on then it can readily become one. I think the idea has a lot of merit. > What change in society caused a previously acceptable standard of dress to suddenly become unacceptable? I once read somewhere that Jews in Europe after the Reformation tended to believe in metaphysics similar to that of their neighbors, so that there were places where they practiced a Judaism with a Calvinist flavor, or Catholic flavor, etc. This is a Judaism with a fundamentalist Muslim flavor. "Avraham Poupko's daughter Roni"...you mean, "Roni Poupko", right? The burqa-moron with the pointy head may be getting ready for a Saturday Night Live costume party- she is going to attend as one of the "Coneheads". She'll be the laugh of the party- no doubt! I perceive that it's the women who are taking these strictures on themselves--it's not as if they're coerced by their husbands to dress this way when in public. 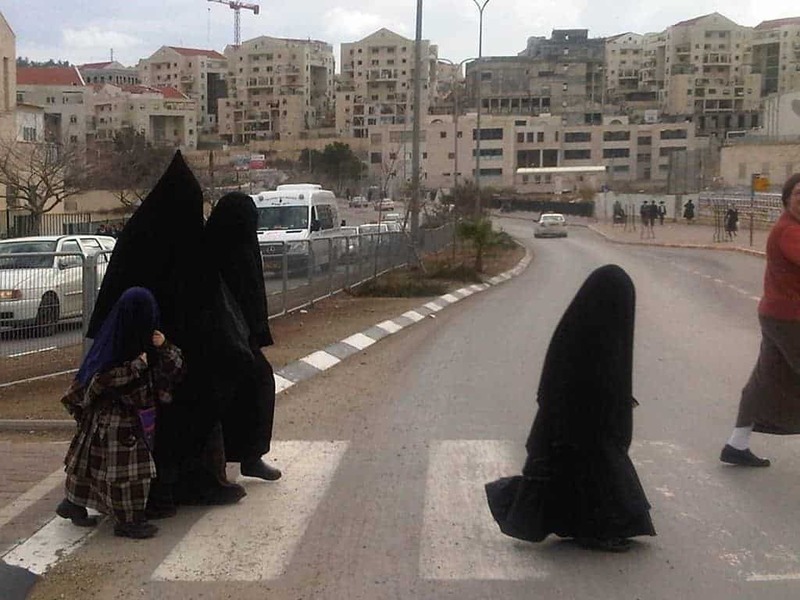 I heard of an incident that when a noted rav of our community in Jerusalem praised the idea motivating these women (to exercise extreme modesty), the men in the community complained that they felt it too restrictive--Taliban-like. Although this isn't a very accurate source of information, I heard on a radio talk show that it was davka Iranian women who started the push for the fundamentalist revolution in Iran in the '70's--they didn't like how the Western form of dress was encroaching on Iran under the Shah's rule. Not really surprising. Women were also the driving force behind Prohibition in early 20th century America. Regarding hirhurim of men, I agree with the general statement of the Mesillas Yesharim (and others) that each person (after making an honest inrospection of himself) should make his own personal gedairos in those areas where he feels them necessary. Reagarding the term "burka babe, I frankly have never heard it before, and I don't think we should promulgate it. Just because these women wish to be uber/ridiculously tznius doesn't mean we have to counter by using a very flippant/undignified word for women. Serious question: At what point do we stop caring what these people do, because they have clearly demonstrated that they are part of a different religion? What is happening to the jewish world. Here is a link to blogpost about a magazine apologizing for pictures of women sliping in to a past edition. There are subtle differences in the pictures as well. E.g., i think Avigail becomes Itzik and Nerya becomes Dudi. And tudia (?) becomes yehuda. Are they both changing genders and adding shirts? I happen to know that many Moslem burqa ladies wear more stylish outfits underneath. Or jeans or sweatsuits or whatever suits their fancy. But our burqa ladies are much frummer than theirs. This may not be true elsewhere, but I had an Iranian supervisor who assured me and my co-workers that Iranian girls (and young women) regularly wear (just) lingerie beneath their burkas. @joshwaxman, I had the same thought, but Nerya is a male name. However, in modern day Israel it's more associated with Sfardim than Ashkenazim. They published a bunch of letters in this weeks Mishpacha, they were all very negative and were very surprised that Mishpacha was so positive in their coverage. mishpacha is a bit different than most charedi publications. their policy is we give you the facts. you make up your minds. you are big enough. That the advertisements are modified to match the constituency is no big deal. Big companies do it all the time. they have one ad for Grand Rapids, another for Harlem. It's no big deal. The Burka thing is of course a much bigger problem. But what did the Charedi GEDOILIM expect? All of their world is founded on the concept of women going out to work to support the men, a concept that fundamentally undermines the very premise of tzenius. "Tznius" has become a chuka vitalulah, each person doing what he thinks right in his own eyes. The idea of looking to "minhag yisrael sabba" as a guidepost for tznius is a joke, created by the charedi world itself. Nobody does that, because in some cases they'd find the world of yesterday was not as frum as today, and because the concept of Kollel-for-everyone did not exist. Does it surprise anyone, therefore, that these women also have their own ideas of what tznius means? They're just doing what their own leaders taught them. Why is this a big problem yet the many (overwhelmingly much more) women who dress like pros---uts is not? I wonder if Vince McMahon is watching any of these developments. The Burqa Babes would make for a great "heel" faction or tag team in his women's division. The crowd would totally despise them, they'd get a ton of "heat." They'd be more "over" than John Cena. Avi Greengart raises an interesting point....why should those of us who are DL even care about this phenomenon, or other controversies within the Haredi world which don't involve basic halacha? A response is that there are elements within the DL world which are increasingly saying that "the Haredim are right and we should be more like them" and really the only disagreement with them is over saying Hallel on Yom Ha'atzmaut. (This was discussed at length in Makor Rishon a few months ago). If that is indeed the case then there is a place for discussion of these matters even among us who are outside the mainline Haredi world. Regarding the claim that because of the pritzut in the outside world, we should be increasingly strict and so what was once considered "modest" dress and behavior among religious Jews in the past is not longer enough. I went to a simcha in a suburb of Tel Aviv a few days ago and in the next hall was a "brit bat" for a non-religious family and I was absolutely shocked at how the young women dressed (I guess I don't get out enough to see the rest of society very much!). I don't even understand why they dress that way. What pleasure does it give them, other than being cool on a hot day? Why do they then complain when men look at them and give them wolf whistles, or maybe they do want to be looked at? Still why does this mean religous men and women can't sit together at social gatherings or that religious women now have to cover up more than in the past? I am really puzzled. 2. Bichukosayem (according to the Chassidishe u derstanding of this halacha. I also remember that article. I am proud to say, "Baruch Shekivanti." I had the same laugh about the incongruity of the picture of the doll and the closing paragraph. I also found it interesting how it was almost a non opinionated biography until the end. I note that mention was made of halachot in Mishne Torah that married women should be restricted from going out of the house more than 2 times a month and should be wearing a 'redid' (a veil) during those times. This is definitely not the accepted halacha, and appears to be based on the norm in the Muslim societies in which the Rambam lived. If the Muslim women were confined to the house and wore full coverings - including the face, then a Jewish woman going outdoor with her face uncovered would be stared at, or worse. Its a question of sociology rather than some objective halacha. I also note that the Hareidi extremist attitude about women is only acceptable if promulgated by men. Once women decide to take extremist 'tzniyut' measures on their own, it becomes objectionable. This attitude is hardly consistent with the idea that the issue is really avoiding hirhurim rather than control of women. And if it's forbidden to show pictures of women even if they wear burquas, then the natural end result is that women will eventually see it as an ideal (and then an imposed standard) not to leave the house at all. In "Infidel", an autobiography by Ayaan Hirsi Ali, she talks about her mother's transformation. When the family was in Somalia, she was an active businesswoman. After some time in Saudi Arabia, she changed, and adopted the Saudi ways -- burqa, isolation in the house -- as 'true Islam'. And she kept them, after she left Saudi Arabia. We Jews really are closer to Muslims, than either of us are to Christians.
. . . What pleasure does it give them, other than being cool on a hot day? What more reason should they need? This leads to the question of "why is the halacha not enough to protect us if there is increased pritzut in the outside world". I was under the impression that that is the purpose of halacha, so why is that now inadequate? This is hardly the first decadent and permissive society the Jewish people have had to encounter. A superficial reading of the Talmud shows that, so we now can ask the question why illogical policies are followed (forbidden to look at photo of women, but men can go out and be in physical proximity to each other, and in fact the women are ENCOURAGED to go out and work and be around men). We see we are not getting thought-out answers and this frustrates a lot of people. I remember some years back in the midst of one of the intifada's that there was some letter being passed around in the name of Rabbi Steinman about the proper response of religious women to the bloodshed. The claim was that women should find some small way to increase their modesty. This might include lengthening a skirt or sleeve or wearing something more loosely etc. Apocryphal or not, I witnessed many women taking it seriously. After all these years and terrorist violence, the natural outcome of these small incremental increases in modesty is the burka babe. I liked the article but I am not sure that you are correct in where it will end up. You say it will end up with women never going out of the house. But why stop there? After all, women can also lead men to evil thoughts even when they are only in the house. There are always male relatives or even male neighbors who might, chas vasholom, enter the house and see the woman. Indeed, she might even be a temptation to her husband while she is a niddah. No, I think it will end up going further. Think about it. Women are important as baby generation and child caring machines. Well, suppose we would kill all female babies at birth and harvest their eggs. Then we can allow the eggs to mature in incubators or whatever till they are mature. We can then have in vitro fertilization, of course. The fetus could be placed in an artificial womb and grow for nine months. After "birth", the infant could be nursed by robots. No need for women at all except as wage earners. And that should not be a problem as the charedi population grows. We will just get more and more aid from the government so we will not need the money which women earn. Besides, if women are confined inside the house, they will not be able to earn much money anyway. So the problem is all solved. The only issue is that goyish science has not been perfected artificial wombs and robots on a mass scale. But that day is B'H coming. Then we can, IY"H get rid entirely of the scourge of women and their temptations on men. And that day will soon come, bimheirah beyamenu, amen. Right, Bill, but there's just one problem. Eliminating all females will not eliminate male biological urges. If only men are left, then... well, you get my drift. In the olden days, they only women who dressed like this were prostitutes. They covered their face from shame. Look up Tamar and Yehuda. For a good treatment of the medieval history of women's dress in Moslem countries , see Prof. Grossman's book "Chasidot u"Mordot" (hebrew). The upshot is that in those days and countries, women left home only when absolutely necessary, and wore burka-type clothing. hence the Rambam's comments are not surprising. Perceptions Of Their Perceptions, Cont. Special Book Sale - One Day Only! The Only Reason Why People Go Off The Derech! Attention Brooklynites and Five Towners!